Home › Style › Satisfying the palates of vegans and non-vegans alike. 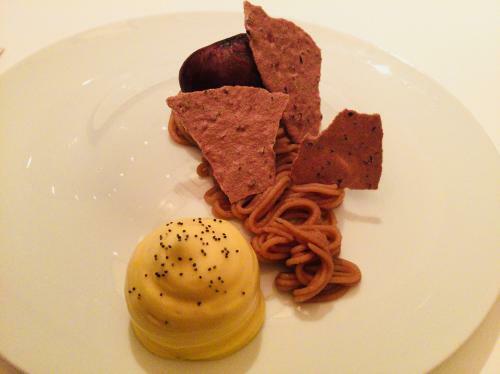 EdiTion Koji Shimomura, a french restaurant that has been awarded 2 Michelin stars for 7 consecutive years. Before we begin, please note that EdiTion Koji Shimomura is NOT a vegetarian restaurant. It is a high-end, gastronomic, French restaurant offering an array of fancy seafood and meat dishes. 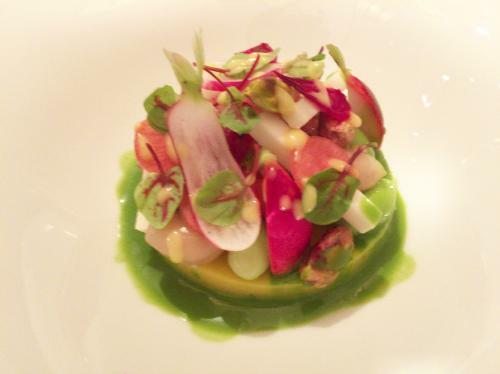 However, we recently discovered that with prior reservations, vegetarians and vegans can also enjoy the restaurant. Straightaway, we made a request for the vegan course and off we went. 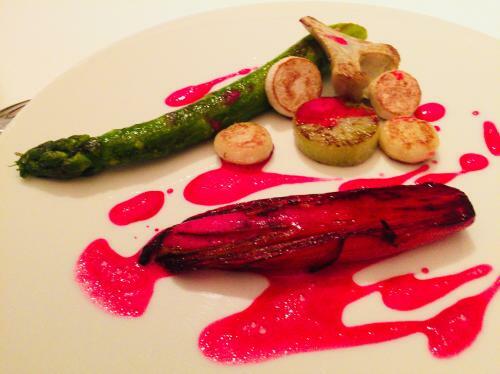 The article will dive into the restaurant’s deep understanding for vegans as well as its highly inventive cuisine as we speak with Chef Koji Shimomura about his philosophy behind his creations. Click here for location and detailed information on EdiTion Koji Shimomura. 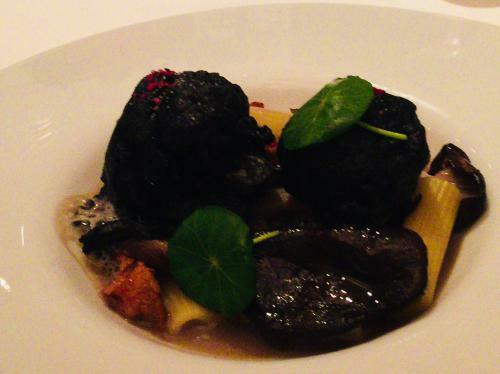 3 Gorgeous dishes that had us in delight. 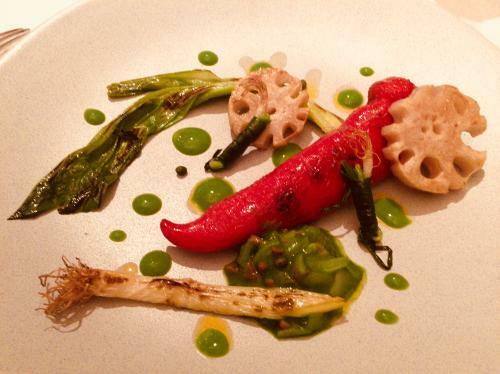 5 You’ll thank yourself for being vegan with this vegan course. When we had the opportunity to taste the dishes, we were especially impressed with Chef Shimomura’s deep knowledge about the raw ingredients. While this may be expected of a first-class chef, Chef Shimomura goes beyond simply making full use of the natural flavors of the materials. He is able to bring out the unexpected qualities of these ingredients. This is extremely crucial in determining the palatability of the cuisine, and even more so for vegan cuisine. “When I was learning to be a chef, I was mentored by numerous talented chefs, but once I have become a chef myself, I’d like to be able to serve my own cuisine. Those masters have built my foundation but nothing more. I aim to give shape to, in the form of culinary creations, the ideas that come from within myself instead of those that are acquired externally. It’s that internal drive when I see the raw ingredients or when I travel, for example. Much information on food can be acquired through the media nowadays, and there is a certain flow or trend, like in the way they are presented, that comes and goes. 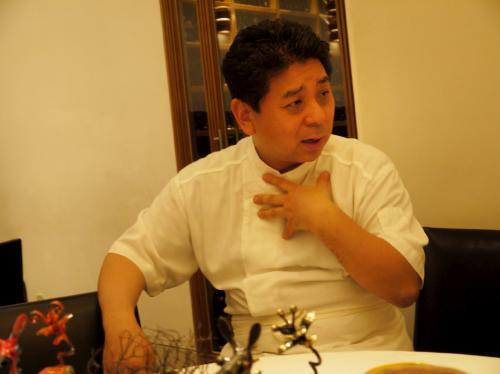 It seems Chef Shimomura can see past the rest of us to discover these hidden qualities of the raw materials. It is not easy preparing a French course with vegan options. In truth, not many restaurants will oblige to vegan requests even now. What’s more, Chef Mimomura aims to provide a cuisine that is satisfactory for everyone including vegans and vegetarians. Utilize a diversity of plant-based oils. These rules are probably great tips for use in normal kitchens as well. It is without saying that the rules above were exhibited throughout the entire course of our meal. Gorgeous dishes that had us in delight. We’ll now take you through the course that we had the honor of dining. Let’s begin with the cold hors d’oeuvre. The dish is like a bouquet of flowers. All of the 11 rules of the chef are condensed into this single serving. The mashed potato made with Inca no Mezame is sweet and smooth, and is topped with various vegetables, herbs, legumes, nuts and fermented soymilk cheese. Every single ingredient, when eaten individually, is carefully prepared and flavorful. When they are all enjoyed at once, the harmony of aromas and textures will have you swooning. There was also the unexpected subtle aroma and umami of chili pepper from Peru. It is used in the perfect amount to have its presence known without it becoming spicy. This brings all of the materials and flavors together. The vibrant red Manganji pepper is stuffed with vegetables and fermented soymilk cheese, but the aroma of the Kaffir lime gives it a mysterious flavor, unlike anything we have had before. The scallion is separated into the white root section and the green leaf section, each prepared in different cooking methods to display the different variations of the texture and flavor. The sauce is made of beets, almond milk, and chili pepper. Endives have a natural bitterness which still lingered even after it had been caramelized to bring out the sweet flavor and the tender, moist texture. The wine paired well with the dish, a lot! The soup is made of konbu (Japanese seaweed) and shiitake mushroom stock and almond milk. That’s it? The umami is just too intense. The rest must be a secret. The chestnut paste does not contain dairy or alcohol, but it is unbelievably decadent and creamy in texture. The excellent quality of the chestnuts is enough to give it the richness by just adding water and sugar. Then there is the refreshing passion fruit mousse. This is also free of dairy or gelatins; simply put, it is merely the foam of the fruit prepared by an espuma machine, but it has a surprising firmness when scooped with a spoon. However, the espuma instantly disappears as soon as it enters the mouth… How satisfying is this texture? 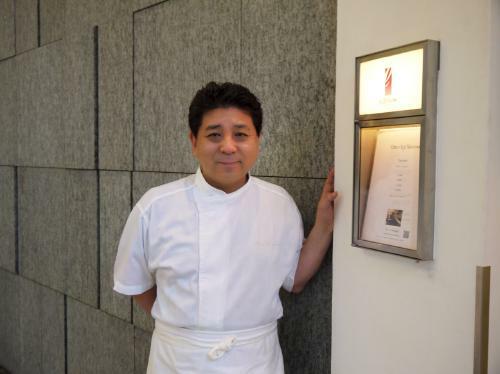 Chef Shimomura began to notice the increase of customers who have special dietary requests. It wasn’t due to their preferences for the food, but it was because they had dietary restrictions. In addition, the regular patrons also began to lean toward health-conscious eating as they put on the years. This prompted the chef to begin studying vegetarian cuisines. It’s not fun to be the only person at the table with a dietary restriction, so the chef aims to provide vegetarian dishes that can satisfy the taste buds of the entire table. You’ll thank yourself for being vegan with this vegan course. My companion of the day chose the regular lunch course which included the house special oyster dish and Iberico pork for the main dish – all of them looked exquisite. If I weren’t vegan, I would have chosen this course. But then again, I wouldn’t have been able to taste the vegan course in that case. Looking from another perspective, if the population of vegans and vegetarians hadn’t increased as much as it has now, a first-class chef probably wouldn’t have put this much effort into this field. With that thought, I conclude that I was very lucky to have had the opportunity to enjoy this meal. Many thanks to you, Chef Shimomura.